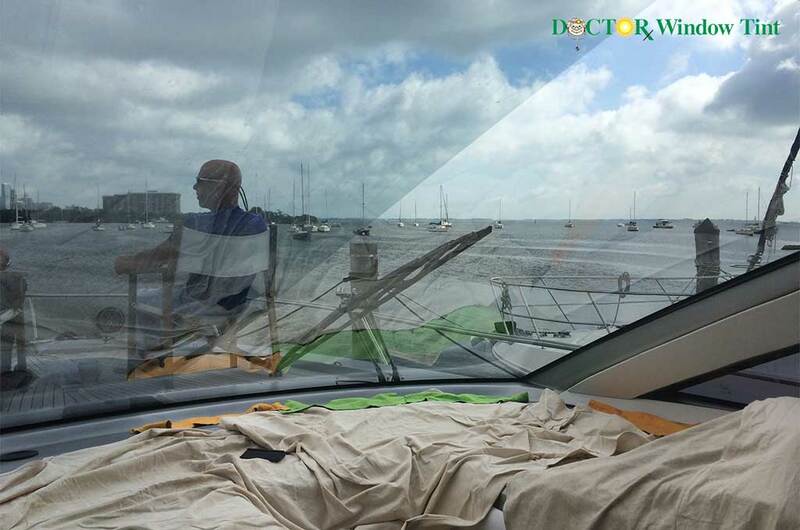 If you have a boat, you may want to consider tinting your windows. The ocean is a tough environment for all boats because of the salt and constant exposure to the beating sun. You will gain more privacy. Tinted windows will give you more privacy – this is especially important if you sleep in your boat when it is docked. If you have a larger boat, tinting the windows will allow your guests to feel more comfortable, knowing that others cannot see them through the windows. However, it is important to note that the tint on your windows will only provide privacy if the amount of light outside the boat exceeds the amount of light on the inside. There is no such thing as a one-way mirror so at night, make sure your blinds are closed. Your skin and eyes are not as exposed to harmful UV rays. The sun can cause many eye diseases that degenerate the eye, such as cataracts, that may need to be surgically fixed. Sun exposure can also permanently darken your skin, give you permanent dark spots, and lead to cancer. Not only should you protect your skin, but your equipment. Your electronics will last much longer, if kept out of the sun. Your non-electric equipment, such as fabrics also will not crack and fade as quickly as those exposed to the sun. Reduces glare during the day and yet does not reduce visibility at night. Glare from the sun and reflected glare from the water, can make it difficult to see and increase the likelihood of a boating accident. Getting a window tint, will allow you to safely be on your boat during the day and at night. Reducing glare will allow you to see obstructions in the water that you need to avoid. Window tinting will also allow you to more easily see other boats, reducing the probability of a boating accident. Your boat will be up to 70% cooler on the interior, thereby increasing fuel efficiency. Fuel efficiency is, of course, important to saving money. If your interior is cooler, then your boat does not need to designate as much fuel to managing temperatures. This means fewer trips back to shore to fuel up and major savings. You may think about tinting the windows yourself, but if you do, keep in mind that because many of the window tinting films may not be the best quality and may not be able to withstand the ocean’s brutal environment. Even when professionally installed, many films will separate and peel off your windows when exposed to salt for long periods of time. This peeling can become dangerous because of how the sun affects your visibility on the water. Also, if you tint the windows yourself, you have to be careful not to gouge the glass with the scraper blade you need to use for cleaning salt and dirt off of your windows. Also, if you put on the film incorrectly, it may have air bubbles underneath, that will make the film more likely to peel off faster when exposed to salt and ocean water. This is why it is important to make sure that the film is installed correctly the first time. It is much more difficult to take the film off, than to put it on. For more information, contact Doctor Window Tint.